Wake up to a renewed old habit, breakfast. This is a term I rarely use, admittedly I'm one of those poor souls with the habit of skipping the most important meal of the day, breakfast. But now with what I have discovered with Cafe 1771, I guess you'll be seeing more of me on breakfast chit chats, now I'm truly excited. 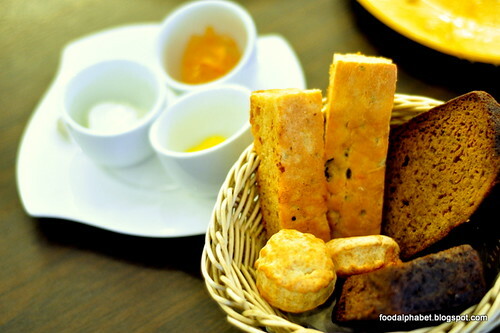 A table set with Bread Basket (P250), which has Zucchini bread, banana bread, foccacia and scones will set the mood to a heavier breakfast treat. 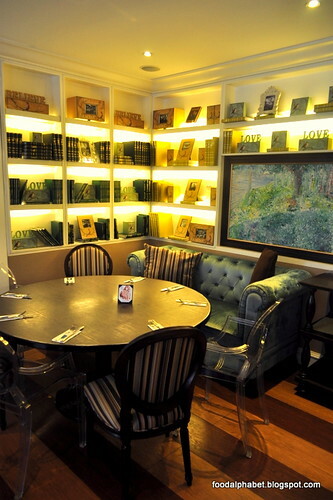 Cafe 1771, is conveniently located in El Pueblo and is part of the Chatteau 1771 group, which is also the bright minds that brought us Sentro 1771, Winebar 1771, Sidebar and more. As you can see they have been very busy these past few year, now you know why. 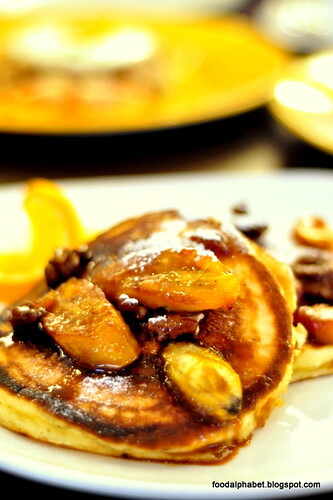 So here we have their breakfast menu specials and indeed a bite of these treats is never enough. Have a bite of their Whole Wheat Corned Beef Pandesal (P200), full of the beefy goodness that you look for in corned beef, finishing up a bun is ok but when you're going for the next one, I guarantee you would be full, until merienda. 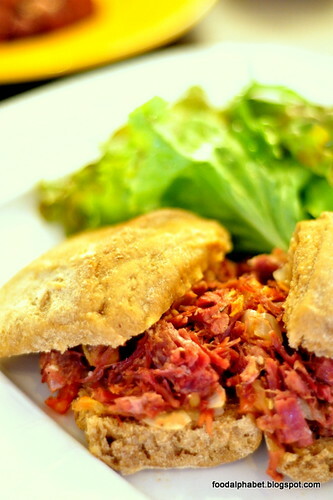 Cooked with much care, as the pandesal absorbs much of the juice from the corned beef, it makes your breakfast order even more enticing. The rich taste of beef, best complements the soft pandesal buns, making it one of the unbeatable breakfast sulit deals you can ever get. 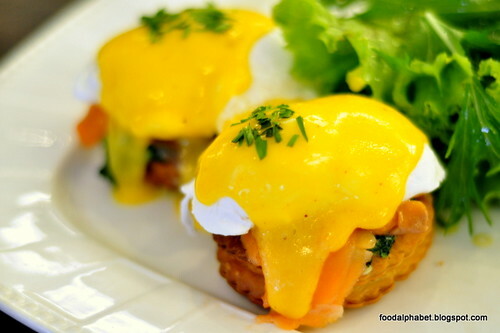 With a choice of ham (P350) or smoked Salmon (P420), using whole wheat bread, poached organic eggs and hollandaise sauce, as much as it looks so good to taste, sad to say, and as you know, I'm just not a fan of eggs. But as I have gotten smiles from my friends who enjoyed every bite, then I could say they were quite good. Hey wait, this is the Philippines, and what would be the staple meal? Of course rice! 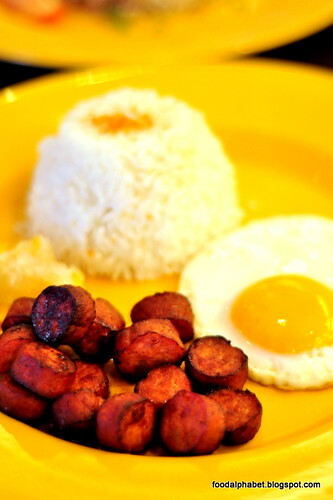 Here we have the Spanish Chorizo (P380) rice meal, it's a bit on the salty side, but what do you expect it's chorizo. It's great with rice as it balances out the saltiness and gives you a full-filing meat. 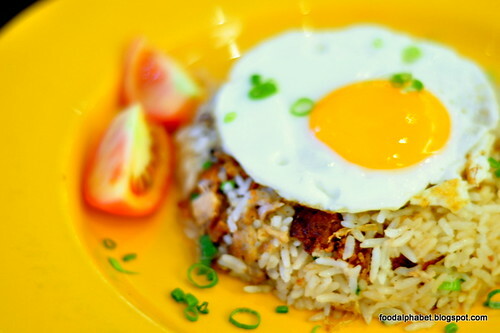 Other choice of rice meals is their Adobo flakes fried rice (P250), other than being so deliciously inviting, the adobo flakes had a burnt taste and crispy texture that made the dish, probably one of the best Cafe 1771 has to offer. 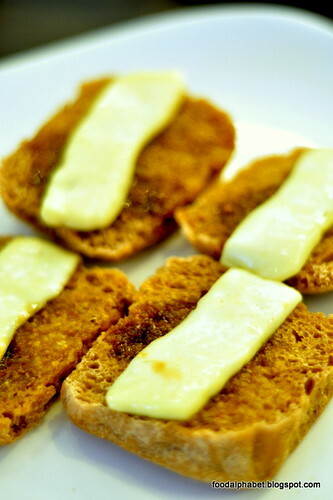 Try their famous Melted Kesong Puti (P200), dashed with guava jam, with whole wheat bread toasted to a crisp, then topped with goat cheese. You really have to try this out, the melted cheese just runs through your tongue and you can taste the sweet, salted taste of the keso. A must-order! Cafe 1771 is by far one of the most inviting breakfast places I have ever laid my eyes on, with it's interiors themed upon a great study, you could spend hours and hours of breakfast goodness feeling that you're just in the middle of your own home. A relaxing time indeed, oh can I live here Cafe 1771? Big Mouth Burger Day on April 24 at Chili's!! !